In central Dublin, the Gresham Hotels' rooms overlook O'Connell Street. 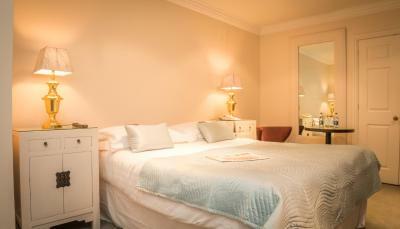 Spacious rooms have en suite bathrooms, free Wi-Fi and TVs. The Gresham also has a restaurant and bar. Modern bedrooms all have hair dryers, an ironing service and tea/coffee making facilities. 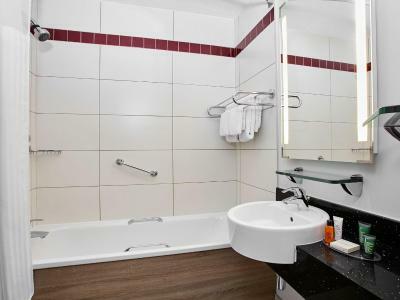 The large superior rooms all feature Italian marble bathrooms and mini-bars. Delicious lunches and light dinners are available at Toddy's Bar, whilst The Writer’s Bar is furnished in Italian marble and floor-to-ceiling windows. Breakfasts are served in the Gallery Restaurant. The Gresham has its own fitness centre with treadmills, rowing machines and exercise bikes. The hotel provides discounts for the French Beauty Spa Company which is 15-minute walk away. 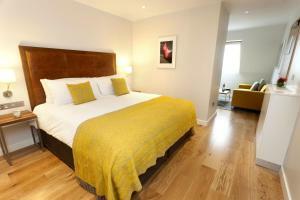 The River Liffey, Temple Bar and the shopping districts are a few minutes' walk away. Dublin Airport is 10km away and the port is 2.5km from the hotel. Connolly train station is a 5-minute walk away. 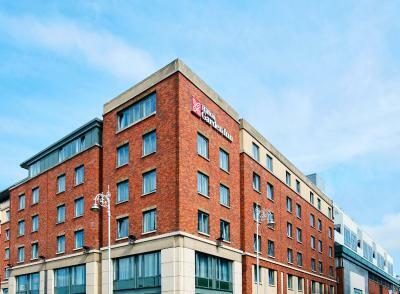 With panoramic views across Dublin Port, The Gibson Hotel is next to the 3Arena. 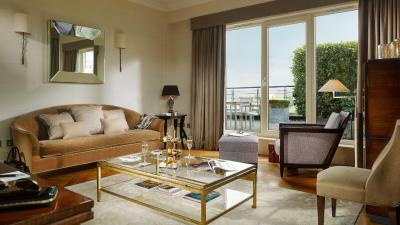 It boasts bedrooms with en-suite bathrooms, a 24-hour gym, a fine restaurant, and secure private parking. These rooms are individually designed and feature floor-to-ceiling windows. The air-conditioned rooms feature flat-screen TVs, free Wi-Fi and some have private balconies with city views. Coda Eatery offers informal dining using locally sourced ingredients. The Wine Wall offers tall racks of Old and New World wines. There is also a bar terrace, where guests can enjoy a drink and the views, and also a garden space for guests to relax in. Dublin Airport is a 15-minute drive away via The Port Tunnel. The Aircoach stops directly outside the 3Arena, offering airport access. The Convention Centre Dublin is a 5-minute walk, or one Luas stop away. With views over the River Liffey, Hilton Garden Inn Dublin Custom House sits next to 3Arena, EPIC Ireland museum and Bord Gais Theatre. 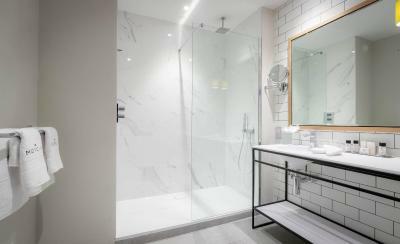 In the newly developed Dockland area, all rooms feature power showers and flat-screen TVs. 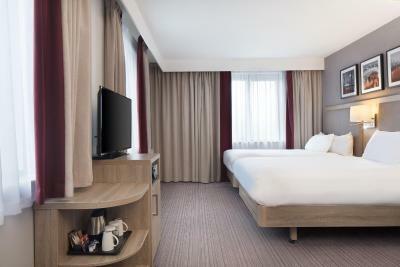 Hilton Garden Inn Dublin has a contemporary, spacious and comfortable guestroom. There is a workspace area and tea and coffee-making facilities. 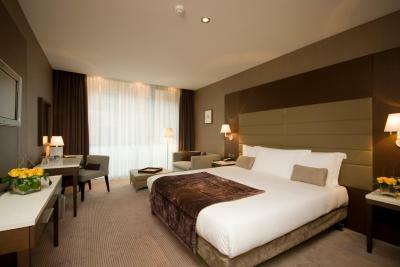 Hilton Garden Inn Dublin House also offers several wheelchair friendly rooms. Busaras and Connolly Station are both just a 2-minute walk from the hotel. There is also a tram stop to the rear of the hotel with a sightseeing tour stop right outside the door. Dublin city centre is just a 15-minute walk offering a lot of shopping, dining and social experiences. The Hilton’s restaurant has a wide selection of snacks and meals on offer. Specialty coffees are served at Costa Coffee, which also serves snacks and fresh pastries. 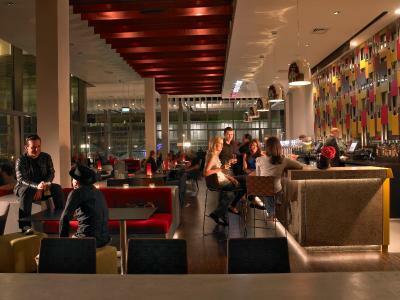 The stylish bar serves excellent cuisine in light and airy surroundings. It also has a fine selection of spirits and wines to choose from. Premier Suites Dublin Ballsbridge offer contemporary all-suite accommodation in the area of Ballsbridge, just 10 minutes' drive from Dublin city centre. Facilities include lounge area and fitness centre. Housed in a Victorian building, studios and suites feature a kitchen with microwave, fridge, kettle, toaster and coffee machine. Multi international channels are available in the flat-screen TVs. Guests will have use of shared laundry facilities. Additional services include housekeeping, concierge and grocery deliveries. 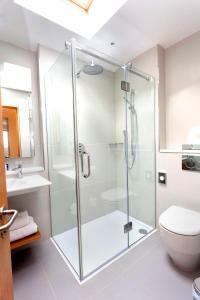 Each room has a bathroom with shower, hairdryer and luxury Elemis toiletries. All suites contain the latest technology with HD IPTVs including a secure individual WiFi Bubble connection and a laptop safe. Some suites have a terrace. Premier Suites Dublin Ballsbridge is located a couple of footsteps from RDS, the Royal Dublin Society, and 5 minutes' walk from Herbert Park. 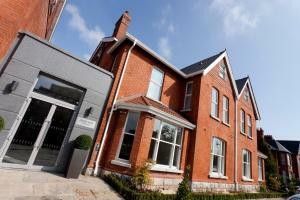 Aviva Stadium is one kilometre away, while Sandymount Train Station is 500 metres from the suites. Croke Park and Dublin Zoo can be reached in 15 minutes by car. 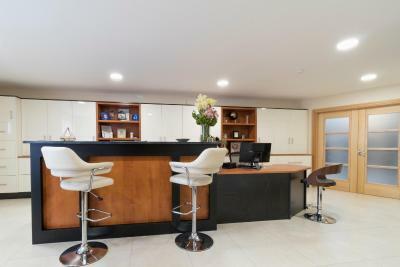 In the heart of Dublin's Georgian Ballsbridge district, Waterloo House offers 4-star luxury guest accommodation, free Wi-Fi, free newspapers and free parking. Waterloo House consists of 2 beautifully preserved Georgian town houses in a quiet residential street, minutes away from Dublin?s city centre. Trinity College, Grafton Street, University College Dublin and St Stephen's Green are within easy reach. The shops at Baggot Street are only a 2-minute walk and Lansdowne Road rugby ground is an easy 5-minute walk. 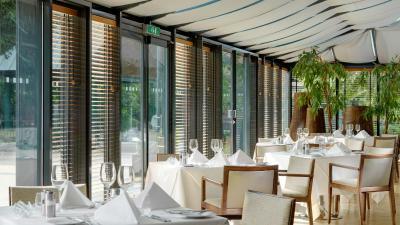 A delicious breakfast is served in the garden-level dining room and conservatory. Overlooking the 48-acre Herbert Park, this hotel is 325 ft from the RDS and a 5-minute walk from the Aviva Stadium. This stylish, modern hotel has an award-winning restaurant and modern rooms. 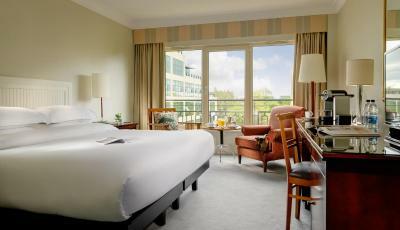 The air-conditioned rooms at the Herbert Park Hotel are decorated in light colors and feature large windows. They include a TV, a safe, and private bathrooms with hairdryers. There is a 24-hour room service menu. With views of the park, the Pavilion Restaurant serves modern international and Irish cuisine, including fresh seafood specials. 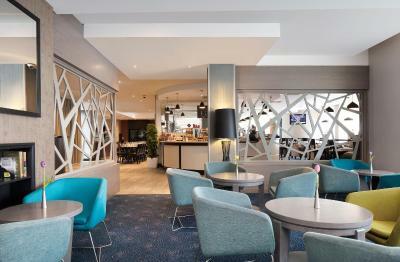 The bright and spacious Terrace Lounge serves light snacks, afternoon teas and an evening menu. A continental breakfast is also available at the hotel at a cheaper price. The Aviva Stadium is less than a 10-minute walk away, and next to it there is the Lansdowne Road DART station, providing easy access to all Dublin’s attractions. The O2 and St Stephen's Green are both 1.5 miles away, and the hotel is on the main bus route into the center of the city. 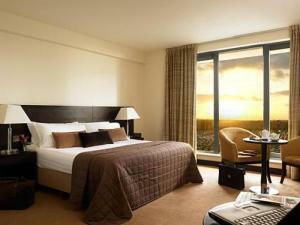 Set beside St Patrick's Cathedral the Radisson Dublin BLU is just a 5-minute walk from Dublin Castle. It has large air-conditioned rooms with flat-screen TVs, free Wi-Fi and a French brasserie. 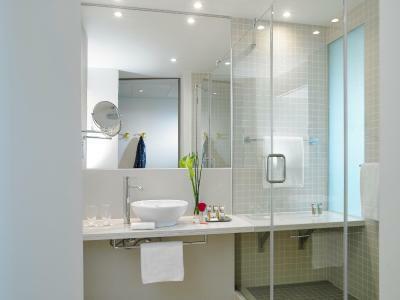 Rooms at the Radisson BLU Royal Hotel Dublin have luxurious baths and showers. Most have views across the city whilst some rooms have Nespresso coffee machines. The Verres en Vers brasserie serves French classics and is open all day. The Vintage Room nestles under a marble staircase and offers vintage whiskeys, wines and fine dining. The SURE Bar serves cocktails and has magnificent views over Dublin. The O Bar has mosaic ceiling tiles and a circular bar with leather seating. Guests have free access to the Fitness Club, which is just 5 minutes' away and offers a pool, gym and sauna. The Temple Bar district is a 5-minute walk from the Radisson Dublin. 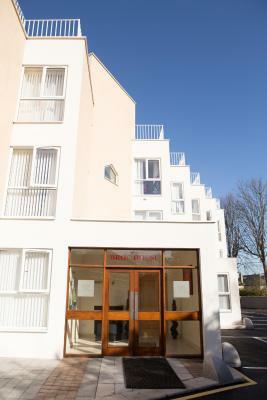 Located on Nutley Lane to the south of Dublin, Broc House comprises of 24 one-bedroom self-catering holiday apartments. Just 10 minutes’ drive from the city centre, the coast is also just over a 0.6 miles away. The apartment at Broc House offers modern interiors with floor-to-ceiling windows. There is smart lounge with flat-screen cable TV and a sofa. The kitchen includes an oven, hob, fridge, toaster and a kettle. Free WiFi is included. The building has a communal roof terrace with views over the city. Free parking is available on site, and free bed linen and towels are provided and changed weekly. An iron and hairdryer are provided. You can find shops, restaurants and bars around the surrounding area with Temple Bar a 30-minute walk away. UCD University College Dublin is just over 0.6 miles from the apartment. RDS and Aviva Stadium are within a 15-minute walk. There are regular buses into the centre of Dublin, a 20-minute journey away. 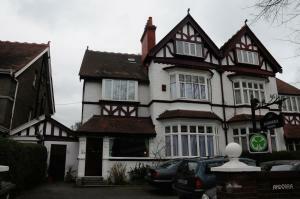 The ferry ports at Dublin and Dun Laoghaire are within 5.6 miles of the apartment. 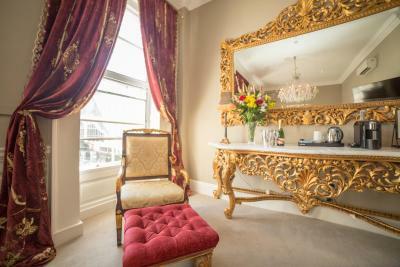 In Dublin city centre, this elegant boutique hotel has designer rooms in the heart of Temple Bar district. Trinity College is nearby. Guests can enjoy free WiFi and free access to the fitness centre, Westwood Gym. Each stylish room at the Morgan Hotel features elegant furniture, a flat-screen TV, air-conditioning, tea/coffee making facilities and an en-suite bathroom with monsoon power shower, slippers and bathrobes. 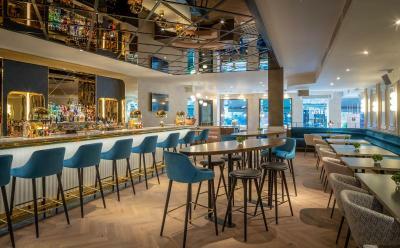 The property's 10 Fleet Street bar offers cocktails. The Morgan Hotel is just a short stroll from Grafton Street, Dublin's main shopping area, and Dublin Castle. Next to the Dublin Airport terminals, the Carlton is a 4-star hotel offering a free 24-hour shuttle bus, free internet access and free parking during your stay. 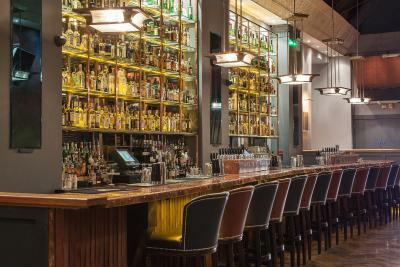 At the Carlton Hotel Dublin Airport you can enjoy fine Irish and international cuisine in the award-winning bistro, Kittyhawks. The bistro serves food until late and offers carvery lunches, specials and signature dishes. 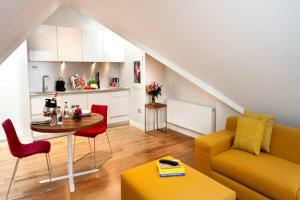 In the heart of Dublin, these comfortable apartments are well-placed for the New O2 Arena and Lansdowne Road Stadium. Vibrant bars are a few minutes' away on the DART Train. Boasting the freedom and privacy of your own home, the apartments feature a fully fitted kitchen for self catering. There is a spacious living room, separate dining area and most bedrooms have a balcony. Parking is available and internet access is in all apartments (these should be reserved at the time of your booking). All Your Home From Home Apartments are located in Dublin 4, with a variety of shops, restaurants and amenities on the doorstep. The area is well serviced by bus, taxi and DART, which is a 15-minute walk away. Just a 15-minute stroll from Sandymount Strand the Andorra Bed and Breakfast is a 10-minute drive from Dublin city centre. Rooms feature showers, TVs and free parking is available. Rooms at the Andorra all come with radios, tea/coffee making facilities and Wi-Fi internet access. A traditional Irish breakfast is served daily in the dining room. In the exclusive Ballsbridge area, Andorra BnB is opposite the British Embassy, and close to the RDS, Aviva (Lansdowne Road) sports stadium, the O2 theatre and St. Vincent's Hospital. The city centre is reachable via one of several bus lines that stop in front of Andorra BnB. The Aircoach bus stop offers a direct link to the airport and is only 3 minutes walk from Andorra BnB.